Oh, look who I found! There were a number of things I meant to do today, including following up my post from yesterday and writing more about what my research uncovered in Dublin. Some filing would have been good, too. 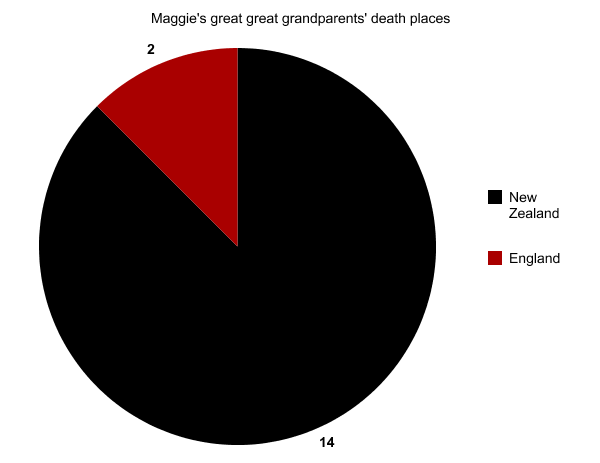 Instead, I went and found four great great great great grandparents. As you do, on a summery Friday afternoon. I have a copy of a Burke family tree, which my father passed on to me. It outlines one line of descendents of Michael Burke from Co Mayo, Ireland, and includes my grandmother, his great grandchild. According to the tree, Michael and his wife Brigid Flynn moved to Scotland around 1843 with their son Martin. It was Martin who later immigrated to New Zealand with his wife Ann Philp and their daughter Mary, and subsequently had two more children. Anyway, I’ve checked a lot of the dates given in the tree, and found them to be a little inaccurate, so I’ve been verifying them slowly. The one thing I’d really love to know, is where exactly in Mayo was Martin born? Where did he and his parents emigrate from? So, I had this thought today (I’ve had it on and off, to be honest, it’s just today it was a bit more niggley) – why not check the Scotland censuses? Maybe they gave their parish or townland to the enumerator? I had an approximate year of birth for Martin, and the names of his siblings (John, Thomas, Mary) and parents, so I figured I had a reasonable chance of finding them. I find ScotlandsPeople a fantastic resource, but it can feel a bit like pot luck at times – I never really know if I’ve found the right person or not, and BAM, there go your credits to see if you’re right. Having said that, you pays yer money, and you get the real deal – images of birth, death and marriage records, as well as the censuses. Michael Burke – head – 52 – Labourer Ag. Thomas Burke – son – 20 – do. John Burke – son – 16 – CabinetMaker Ap. 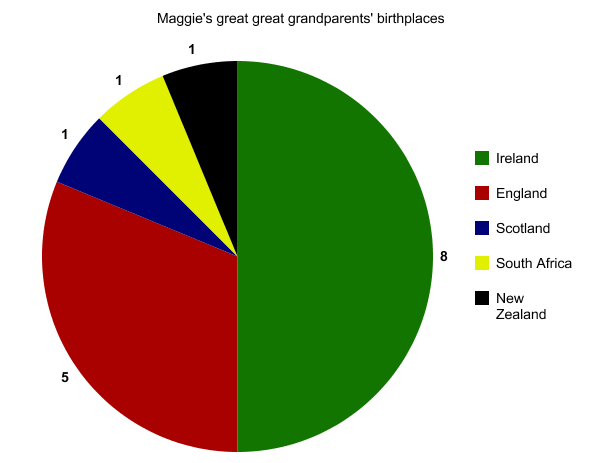 All are listed as being born in Ireland, except Mary who was born in Perth. So that gives a clue to the timing of their move to Scotland. And Martin is listed as married, but where is his wife? They married in February that year, so it may be possible she was visiting her parents..? Mary Burke – daur – 19 – do. When I looked for Bridget in the 1881 census, I couldn’t find her, so I immediately checked the death records… and there she was in 1874… along with the names of her parents! Patrick Flynn, Labourer and Mary Derrick4. So, I still don’t know exactly where they’re from. I tried out the Irish Ancestors Research Wizard and apparently there are 48 Mayo parishes in which the Flynn and Burke surnames coincide. That’s a lot of parish records to check out. I think my next task is to try and follow Martin’s siblings in the censuses, and see what more I can find out. There’s also their cousin Michael, who turns up in the 1871 census. He was born in Perth, but it could be worthwhile finding his parents. 1861 Scotland Census, Perthshire, Perth Burgh, ED 17, page 5, line 5, Michael Burke household (age 52); digital image, ScotlandsPeople, 1861 Census, (http://www.scotlandspeople.gov.uk/ : accessed 03 Jun 2011); citing General Register Office of Scotland 1861 387/01 017/00 005. Scotland, Perth County, Perth, Register of Deaths, 1868: entry 250, Michael Bourke, 26 May; digital image, ScotlandsPeople (http://www.scotlandspeople.gov.uk/ : accessed 03 Jun 2011); citing Statutory Deaths no. 387/00 0250. 1871 Scotland Census, Perthshire, Perth Burgh, ED 38, page 10, line 19, Bridget Burke household (age 58); digital image, ScotlandsPeople, 1871 Census, (http://www.scotlandspeople.gov.uk/ : accessed 03 Jun 2011); citing General Register Office of Scotland 1871 387/00 038/00 010.